YI Home 1080p vs YI Home 2- Is It Time To Upgrade? Do you own a YI Home 1080p smart security camera but are thinking of upgrading to the YI Home 2? In this post I compare these near identical twins. To start with, let’s have a look at the ways in which they are different. These two cameras have 8 major differences, which are highlighted in the chart below. Although there were only one month between the launch of these two cameras on Amazon, there are some significant differences between them. At first glance these two smart security cameras could be mistaken for identical twins, but there are subtle physical differences in their size. Both of these cameras record footage at 1080p but the Home camera records it up to a maximum rate of 15 frames per second, whereas the Home 2 records 1080p footage at a maximum rate of 25 frames per second, which produces a better quality of image. Part of this can be explained by the different sensors. The Home 2 has a CMOS sensor that is slightly bigger- 2.12 MP as against the 2 MP sensor in the Home 1080p. There is quite a significant difference in each camera’s field of view. The Home 1080p has 112° whereas the Home 2 is much bigger and more impressive at 130°. Both of these YI cameras use micro SD cards for storage but the newer version of the YI Home camera can use cards with higher capacity 64 GB instead of just 32 GB. Both of these cameras use infrared (IR)in order to detect motion at night. The cameras have infrared LEDs that are placed around the outside of the camera lens. Infrared is detected in wavelengths that are measured in nanometers. These cameras like many smart security cameras use a 850 nanometer wavelength to detect motion at night. But the Home 2 camera has three more infrared LEDs than the earlier model- eleven vs eight LEDs. Although the official night vision range for both cameras is about 9 meters or 30 feet, the detection capabilities and accuracy of the Home 2 camera is better. Although both of these YI cameras can be accessed remotely via apps for smart phones, tablets, laptops and desktops, the YI Home 2 can also be controlled by a set of hand gestures- which the Home 1080p does not recognise. These two cameras use the same apps to provide remote access. Let’s have a look at these in more detail. YI Technology manufactures dozens of different cameras and so they have designed lots of different apps. If you to run the app on an iPhone or iPad, your device needs to be running iOS version 7 or higher. If you are using a smartphone or tablet powered by Android, just make sure that it is running version 4 or later of the Android software. Some of the most popular smart security cameras can be controlled by logging into an online account via a browser. This is great because it allows people who use laptops or desktops to control their smart devices. This isn’t possible with YI as they take a slightly different approach. Instead a small and free piece of software needs to be downloaded for Windows or Mac computers. The YI Home 2 can also be activated by the use of a hand gesture. This requires a user to stand within 2 meters of the camera and show their palm or fist to the camera. After 2 seconds the camera should recognise this and activate. I think that this feature is a bit of a gimmick at the moment because the camera will only respond top one gesture. However, as more gestures are added, this feature will become more powerful. The final difference between these two cameras is that the Home 2 camera has more sophisticated detecting capabilities. The Home 1080p and the Home 2 camera can both detect motion as well as a baby crying but the YI Home 2 can also has a human detection feature. These cameras will alert a user if they detect a baby crying. This is a great feature but it is still a little inconsistent and not entirely accurate. Don’t, by any means, buy the YI Home 2 as yoour only baby monitor. I tested it by playing different videos of babies crying that I found on YouTube and it recognised some of the clips that I played. The camera did a lot better detecting very loud “wails” and cries that lasted more than a few seconds. Unfortunately, the baby crying detection is the only sound alert that these cameras will alert you to. The YI Home 2 will alert you when it has detected a human in its footage. If a human is detected, then the Home 2 will record a 16 second motion clip, instead of a standard 10 second clip for all other alerts. As with many other security cameras, the human detection feature is a “work in progress”. Although does accurately detect humans most of the time, it has innacurately detected my dogs and a cat as “humans”! Using live view in the Android or iOS app, you can zoom up to 4 times using the two fingered “pinch to zoom” gesture. Both of these cameras are designed to be placed on a horizontal surface. The camera is attached to its base via a hinge that allows the camera to be swivelled nearly a full 180° from being flat on its back to being face down. You can buy separate mounting brackets that will mount your YI Home cameras on to a wall or AC socket. Both of these cameras have 2 way audio allowing a person who is connecting to the camera via an app can talk to person who is next to the camera. What makes the YI approach slightly different is that you can opt for a hands free setting on the audio so that you don’t need to keep pressing and holding the microphone icon! 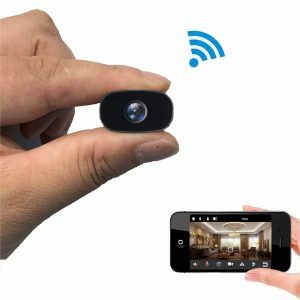 These cameras will only connect to WiFi routers that work using the 2.4 Ghz speeds. They will connect to routers that use the “b”, “g” and “n” protocols. They will connect using the WPA or WPA2 setups. This is an area of great disappointment with both of these cameras. They do not work with any other smart home systems, not even Alexa. So, for all of those smart home fans out there, stop reading now as you cannot connect these cameras to any of your smart devices. YI Technology offers a comprehensive range of cloud storage options. They have two levels of plans- standard and premium. Standard plans are designed for users who only want to use their cameras as the motion detectors. Premium plans are aimed at those YI users who want their cameras to be recording 24/7. Both of these cameras have live view- the ability to connect to a camera and stream its footage live. These cameras come with a standard 1 year warranty and a 30 day money back guarantee. YI Dome vs YI Home- Just Brilliant!